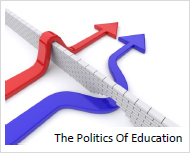 Re-imagining an education system embroiled in bureaucracy and subject to politics and budget battles at every level will not be easy, but it can be done. Focusing our efforts at the middle school level, we partner with educators and parents to set in motion a technology program that functions totally outside the box. The Technology Learning Center is a nonpartisan American effort that sidesteps the usual committees and bureaucracies that can delay and often derail programs that offer any real change. The support of educators, parents, teacher unions, extraordinary citizens, the media and businesses of every size is essential to our success. Singling out any one, or any group in blame, is inimical to our overall objective and purpose. Realistically, we understand that TLC's one simple program will not solve the myriad of challenges facing our educational system. In many ways it will be a journey. Determined to make a difference, we readily appreciate that every journey begins with a first step. By encouraging citizens to become active participants in their local schools, the Technology Learning Center's ultimate goal is to provide a working model that will encourage the development of similar programs in other areas of education. That involvement will immediately lead to greater student achievement with ensuing repercussions for the future prosperity of our nation. Empowering every citizen to be a philanthropist, our TLC program provides many ways for ordinary citizens to participate in this historic mission.